Time flies! 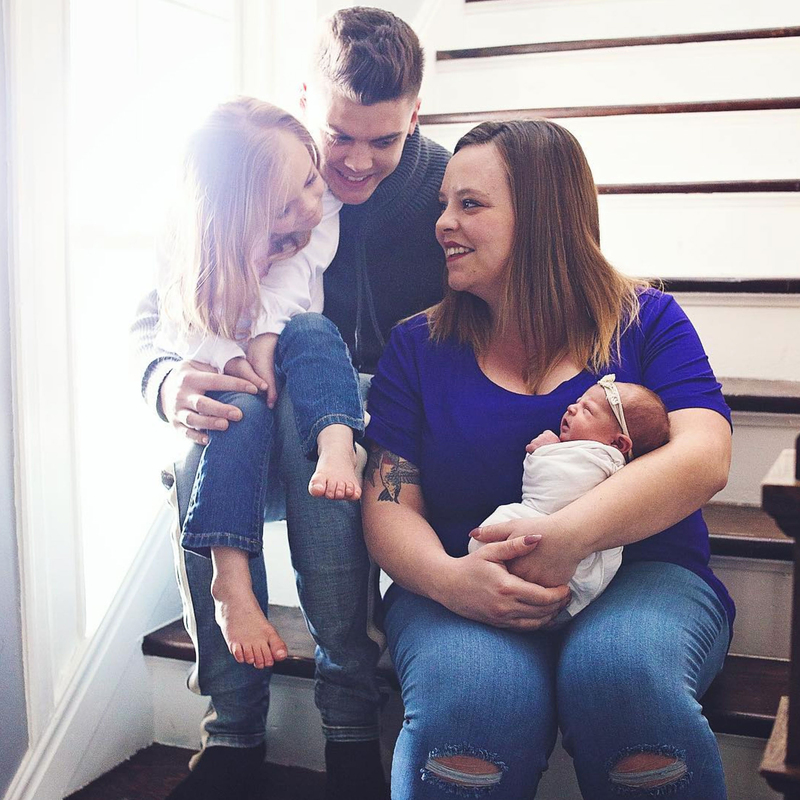 Catelynn Lowell and Tyler Baltierra welcomed their third daughter, Vaeda, one month ago, and the Teen Mom OG stars are celebrating with adorable new pics. “Vaeda is a month old this week & idk how it’s possible, but she keeps getting cuter!” Baltierra, 27, captioned a close-up photo of his daughter on Instagram on Tuesday, March 19. In the sweet shot, the infant stared at the camera while wearing an owl-patterned onesie. “Our rainbow after the storm,” the Conquering Chaos author, also 27, captioned her own post of Vaeda sleeping in a multicolored wrap and headband. Us Weekly broke the news on February 21 that the middle school sweethearts had welcomed a baby girl. She was born at 9:24 a.m. and weighed in at 6 pounds and 4 ounces. Lowell and Baltierra already share Novalee, 4, and placed their eldest daughter, Carly, 9, for adoption in 2009. They suffered a miscarriage in 2017. “[Vaeda] such a good baby – very chill and easy going … so far,” Lowell told Us exclusively on Thursday, March 14. But as thrilled as they are with their new bundle of joy, the former 16 & Pregnant star and her husband are already looking forward to expanding their brood. “We want more children,” Lowell told Us. “We really want to try for a boy.” She and Baltierra are planning to wait “six months to a year” before going for their fourth.